Added Radar hack: Shows the location of nearby entities. 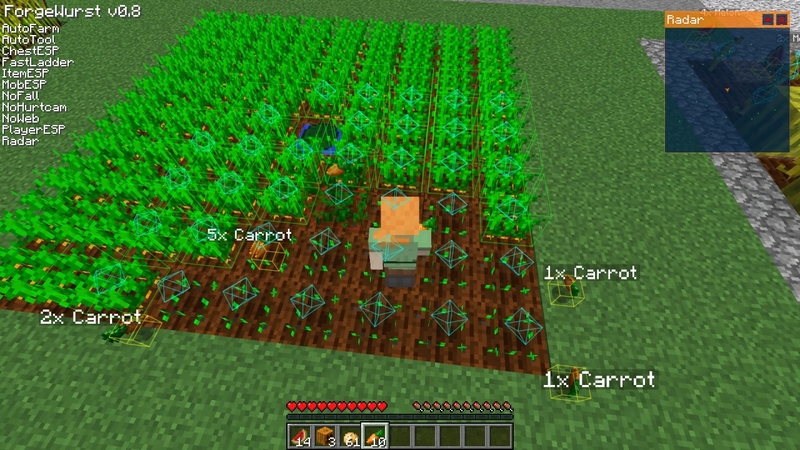 Added AutoFarm hack: Harvests and re-plants crops automatically. Works with wheat, carrots, potatoes, beetroots, pumpkins, melons, cacti and sugar canes.